If you haven’t been to Winona, Minnesota lately, it might look different than you remember. Winona’s downtown is continuing to grow and change for the better. 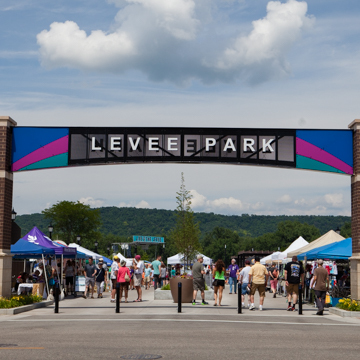 “There’s been a lot of energy, time and resources that have been plugged in to making these developments a reality,” says Emily Kurash, the Winona Main Street Program coordinator. Kurash adds, “It’s really cool to see not only new development but redevelopment of our historic older building . . . It’s been nearly a century since we’ve seen this kind of development in downtown like this.” Some of the most notable changes include: the revitalized Levee Park, luxury and market-rate apartments, retail space, new restaurants, and office buildings. Kurash explains that downtown Winona hasn’t always been the place where investors wanted to put their money. “The fact that downtown is being looked as a desirable place is a big deal” instead of looking to other cities or the outskirts of Winona. To see more details of the downtown renovations, check out the full article here.